The be quiet! 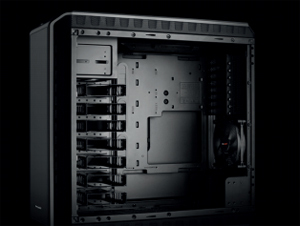 Dark Base 900 PC case is the perfect choice for all of those who expect the highest standards when it comes to modularity, compatibility and design. be quiet! 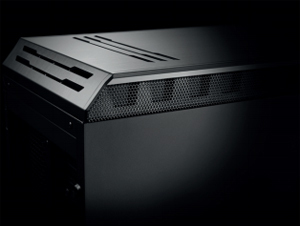 Dark Base 900 offers unrivaled flexibility with impeccable cooling and silence features. Simply an engineering work of art! 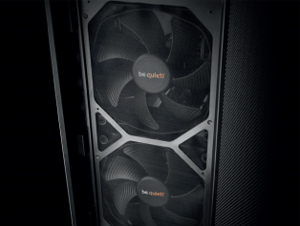 Innovative noisereducing vents all around the case result in an effective full circuit airflow. >Large Interior is easy to work with. >The screws are torqued down VERY tight. >The case is incompatible with large power supplies. In particular, the screws securing the expansion and power supply brackets seem to be made of an inferior quality steel and WILL strip out IMMEDIATELY if you try to unscrew them. I had to take a file set to cut through the bracket on this case, twist it off, then remove the stripped out screws with 18 inch channellocks to get the torque necessary to turn the screws. PATHETIC and should never be necessary on a $200 case. For some reason be quiet decided to add a weirdly designed PSU mount that relies on a C13 extension cable. I used a Corsair AX1600i which needs a C19 cable. The two are not compatible. If you try to mod the extension cable I think this would represent a fire hazard. I do not recommend it. (You can see in the pictures for this case it has the plug built in to a bracket on the back. Inside the case there is a C13 extension cable to connect from the exterior socket and plug into your power supply. It's a strange setup.) The best solution is to use a different case. Unfortunately, the case was the first component I bought while accumulating parts for 2 months so it was outside my return window. The alternative is to remove the PSU bracket and plug the power supply in directly. This leads to the problem with the screws. Also if you remove the PSU mount, there is no way to secure the power supply. Currently it just sits loose in the case. I might get a custom bracket made to secure the power supply. Other Thoughts: >I do not recommend this case. >If I could go back in time and buy a different case, I would do so. >I will not buy be quiet! cases in the future. >DO NOT BUY THIS CASE. -Quiet with good temperatures out of the box (the Silent Wings 3 fans are great). -Filters are easily accessible from the front of the case (the case is big and heavy, and I'm glad I don't have to move it every time I need to clean the filter on the bottom). 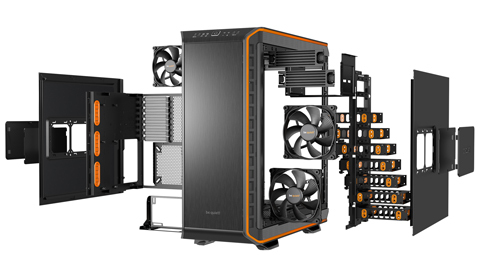 -If the person removes the drive bay cage, they can have 3 X 140mm fans in front, which should provide great airflow for just about any build out there. I ended up doing that for my front fans, and I installed another 140mm fan in the back, and another on top, and my temps are actually really good, and I can't hear any of the fans. Cons: -The manual provides little-to-no info on changing/removing parts (like the drive bay cage or PSU mounting for example). -Only 9 stand-offs included (my ATX motherboard uses 10), but I had extra. However, cases this expensive should come with a couple extra. 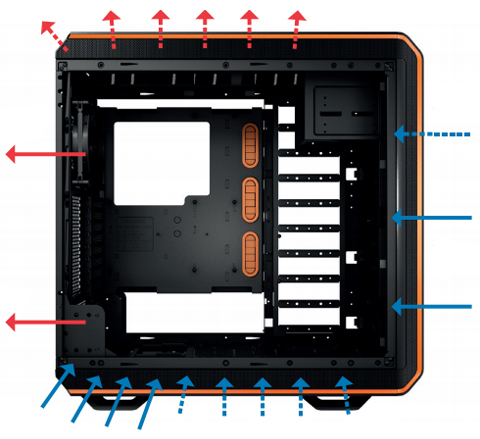 People with larger motherboards like an EATX might not have enough included stand-offs. Cons: - Thumb screws for the HDDs and the case side panels are not threaded very well. Be very careful not to strip them. 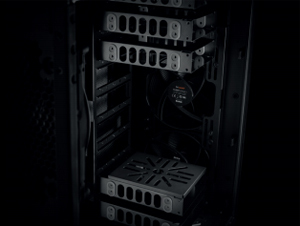 - Fan controller on the bequiet Dark Base 900 gets power by sata so they never show up in the bios. I can only control them using the fan controller. Other Thoughts: - I like how quiet the case is but all of the cons I listed were to much of a pain for me to ever buy this case again. - Once the screws are stripped it makes it so much harder to work on the case. Cons: People already complaines about the screws, well, they are three screw I cannot remove. The small ones used for the PSU cage and the rear slot brackets. When you spend that much in a high end case such a lack of quality is inexcusable. What I am supposed to do, return the case half way being built ? How does such non quality (3 screws tighted so hard even an electric tool cannot remove them) cost the compagny ? - Has lots of HD housings, which are modular and can be removed one-by-one. I also removed the optical drive bay completely (once I realized I hadn't used my optical drive in over a year anyway) for better airflow. Cons: - Not much space on the back side; meaning the space between the mainboard and the rear side panel, which is where I usually hide most of my cables. I've seen cases that have lots of space back there for cables, and even regular hard drive mounts, which this case only has a single SSD mount behind the motherboard in an awkward spot. - There is a strange housing that you have to mount the PSU into, which is separated from the back of the case. That means that you are required to connect a very short cable that's included with the case to connect the PSU housing to the power plug on the back of the case. I haven't seen that before but it was weird and I'm unsure why that extra PSU housing is used at all. Other Thoughts: - I prefer to mount hard drives on the "back" between the mainboard and the rear side panel (for better airflow) but that cannot be done with this case. Pros: - Minimalist exterior design that looks great. - Fantastic well laid out case that's easy to work on. 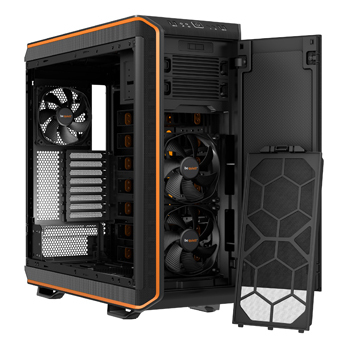 - Case is extremely modular, You can arrange things so that your motherboard is on the left side of the case instead of the right. 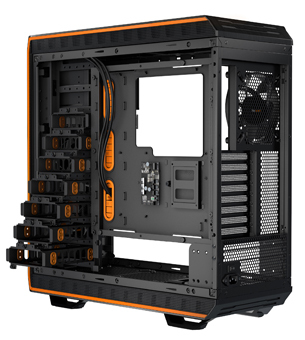 - Plenty of room for hard drives, cpu coolers, graphics cards, radiators, etc. 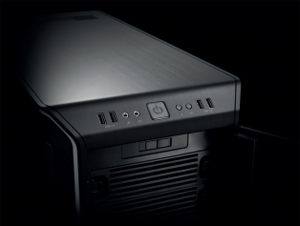 - Sound dampening material inside of the case, along with design features that also reduce noise. - Even the feet are removable if you choose. - Came with velcro strips! - Power light is a calming orange, and not an eye-searing blue. Cons: - I wish there was a little bit more room behind the plate the holds the motherboard for cable routing. - The case is almost too quiet. 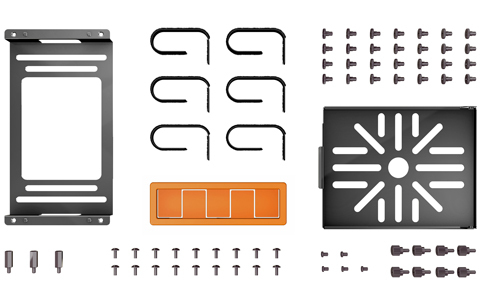 - Some of the screws will strip if you use the wrong size bit. I almost stripped the screws for the power supply bracket before I figured out the correct bit I needed to use. - Hard drive bays are a little strange to pull in and out. It'd prefer more of a rail system, but that's pretty minor. Other Thoughts: Make sure you are prepared for the size of this case, it's big! 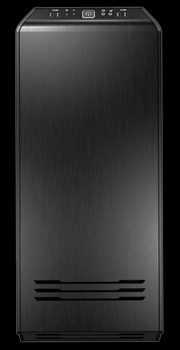 I really like the dark brushed metal, and the smooth almost minimalist design to this case. I chose this particular model of the case because I didn't want a clear panel on the side of my machine. I'm probably in the minority, but I really prefer not to have the glowing guts of my machine on display. It's hard to overstate how modular this case is. I only took small advantage of that by rotating the plug for the power supply 180° so that it would more easily line up with my power supply. Oh as a note, the front panel doesn't latch. It's just a push pin that will pop the door out when you press in. This isn't a issue except when you're tilting the case forward. Just something to watch out for. Pros: Fully tool-less design. Very spacious and easy to configure for your needs. Other Thoughts: I would recommend this case to others. I like the Pro design also. I think I'll buy the Pro model as well and set it up as a server for the home. 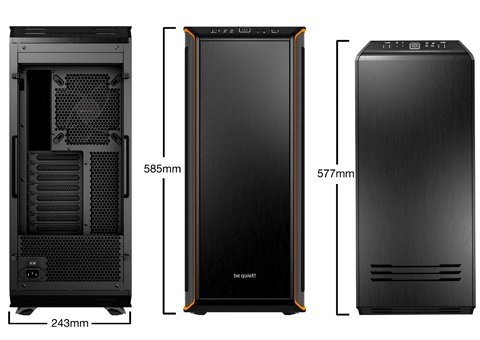 Pros: This case is large and very well thought out. - Extra brackets, hardware, velcro straps are a nice inclusion! - The first thing I did was disassemble it to the bare skeleton. At each and every step of the process I was impressed with the durability, and rigid design. I'm very mechanically inclined and work with complex things on a daily basis, the way the case disassembles and reassembles is very intuitive. - I plan on water cooling with a custom loop. The amount of room this case has makes options nearly limitless. - Got it on sale! - Out of the factory, some of the screws are really snug. Not an issue if you are smart about how you apply torque. Worth mentioning, because I'm sure someone will ruin a screw and blame it on the manufacturer. Just grab the right bit and apply slow steady torque and you'll be fine. Don't over-tighten things on re-assembly and you will never have to worry about it again. - Some of the hardware screws were clearly stressed by how snug they were installed. 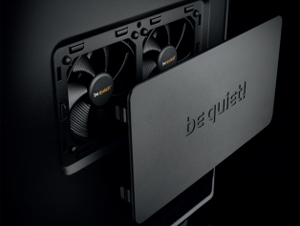 Other Thoughts: In an email to bequiet, it sounds like a window may be available for resale in the future, making the 900 a great choice over the PRO version. - By the way. be quiet! responds to email very quickly. I was just making a product inquiry, and had a response within 12 hours. Way quicker than I expected from a country half-way around the world. I'm eastern time zone US, I usually have to wait more than 24 hours if I deal with local companies. I'm left feeling confident about future purchases with be quiet! I'll be all for a windowed side-panel when available. Note: I've seen some people mention an issue with the front panel door. I have no idea what their issue is. Mine works and stays shut. It is basically a magnetic latch. The materials are all high quality and sturdy, if I tip the case so the front is angled down, eventually gravity will win and the door will fall open. I suggest placing your PC on a level surface and if that doesn't solve it, adjust the hinges. The door panel can be switched so it opens the other way if you wish. 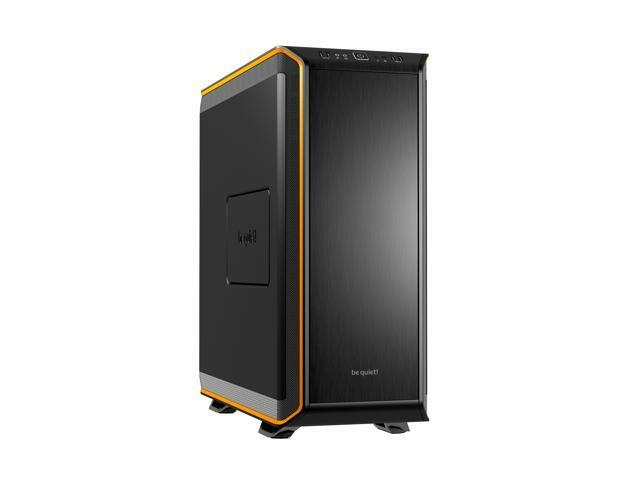 I highly recommend this case for anyone that wants a case that will last for several different builds and wants flexibility with internal components... and doesn't want to hear their machine running!